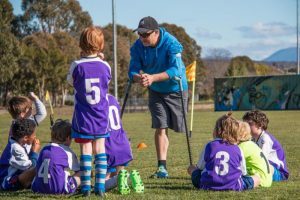 This course is ideal for parents who are new to coaching or who would simply like to gain a greater understanding of the concepts and practises of football to better support their kids. Learn how to make football FUN. Get ideas for training that kids enjoy. Get tips on how to start quickly, and keep kids engaged so they don’t become distracted or disruptive. This course is FREE and done in less than 3 hours and is a great introduction to coaching! Register here. Want to hone your ball skills for the upcoming season then register for this six week preseason program at Dickson Playing Fields.